November is National Diabetes Month—a time to focus on a disease that affects more than 400 million people around the world. 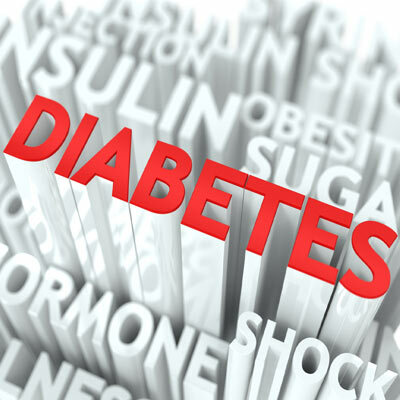 What does diabetes have to do with oral health? Plenty! Here's a true-or-false quiz to test your knowledge on this important topic. 1. Diabetes and gum disease are connected. TRUE. Studies have found a clear association between diabetes and gum (periodontal) disease, especially when diabetes is not well controlled. People with poorly controlled diabetes have a more severe inflammatory response to the bacteria that cause gum disease. While inflammation is normally a protective reaction of the body's immune system, too much inflammation can actually make the condition worse. In the case of gum disease, the reverse is also true: Untreated gum disease can worsen blood sugar levels in people with diabetes. The good news is that treatment of periodontal disease has been shown to improve blood sugar control. 2. People with diabetes can't have dental implants. FALSE. Research has shown that dental implants can be a very successful tooth-replacement treatment for people with diabetes. But again, blood sugar control can be a factor. Dental implants are titanium posts that serve as artificial tooth roots. Minor surgery is required to insert an implant into the bone beneath the gums; a realistic-looking dental crown is later attached to it so it can look and function like a natural tooth. Studies have shown that it takes longer for the bone to heal around implants in people with poorly controlled diabetes. That doesn't make implant treatment impossible, but it does mean that it may be managed differently. For example, an implant may be allowed to heal for a longer period of time before a crown is attached to it. 3. People with diabetes can't do anything to improve their oral health. FALSE. People with diabetes can have a very positive impact on their oral heath, by doing their best to control blood sugar levels with a healthy diet and exercise, and by sticking to an effective daily oral hygiene routine. This includes brushing twice a day for two minutes each time, and flossing at least once each day to remove bacterial plaque between teeth. Regular dental checkups and cleanings are also essential—not just for people with diabetes, but for everyone!